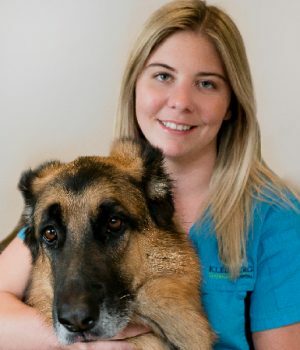 Kristina wears two hats at Kleinburg Veterinary Hospital as a Veterinary Assistant as well as Receptionist. Having graduated from St. Lawrence college as a Veterinary assistant in 2013 she has always had a compassion for animals. In 2015 she then graduated from police foundations interested in animal cruelty and the bylaws enforcing the protection of animals. Kristina gained valuable experience working with the OSPCA. Kristina is proud pet mom to two German shepherds Dewey and Blu, a Cat named Rosie and Archie her rambunctious Cockatiel. Aside from her animals and the clinic she likes to spend her spare time playing baseball, traveling and spending time with family and friends.